It’s that time of year again, the time for resolutions, but is it truly beneficial to be so resolute or has life taught us to be fluid? You look back on 2018 and wonder what 2019 has in store. You make plans and goals and promises to yourself. You look to unlock all the great achievements, count your losses, and put your chicks in a basket and try to forget the saying about a watched basket never hatching or some such nonsense. We forget that we make plans then change them. We look so far forward we may trip on our own doorstep and bang right into our home where the local gym hung their add on the nob you’ve struck with your noggin. This year has been quiet for The Adventourists. We have aged, but not so much grown up. We have traveled and adventured each on his own, or with others, or on our own with others and it has all been grand. We have also made grand plans and begun preparing for them. We made a big announcement and now we have a bigger announcement to make. It seems more terrifying than the original in many ways. Today we are here to tell you that we have changed our minds. When last we met, we screamed from the mountaintop that we are going to climb Mount Kilimanjaro and fly down. 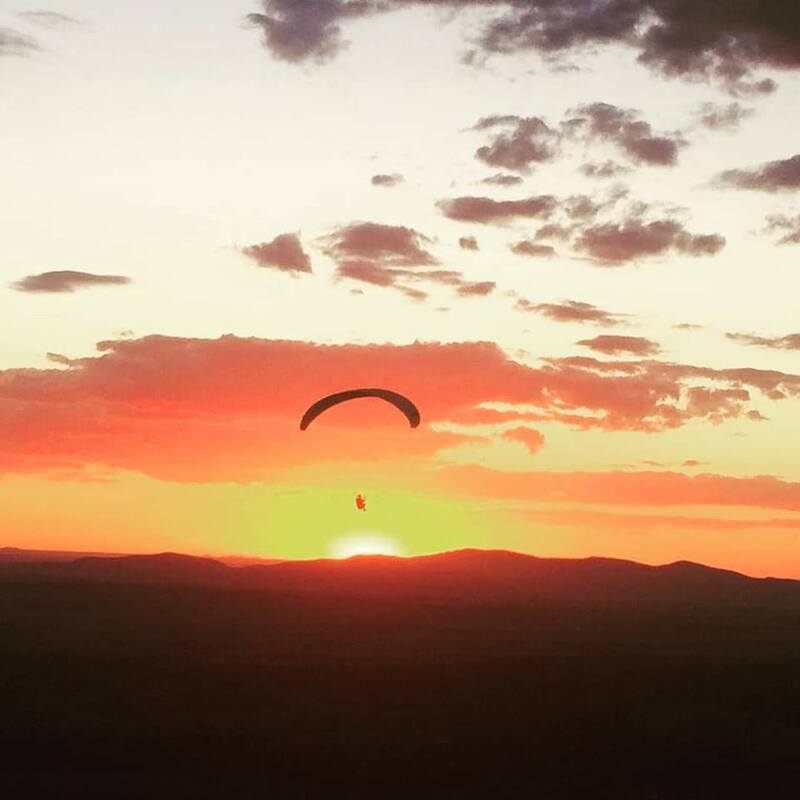 I shared a video of my preparation and glory of paragliding solo off a small cliff. If you listen closely, you will hear that Freddy is “very, very, very fragile.” I say that I am a hairy beast in the sky, and that is true. I also am fragile. Maybe very, but very, very, very? I asked around to a few other pilots. It seems that I am just fragile enough, as are most, that it would take two years, maybe three of training to conquer the beast of the Serengeti on newly acquired wings of Icarus. So we join the ranks of those who win at losing. We are turning around, not with our tail between our legs, but to see what else is out there. We may still climb Mount Kilimanjaro, then spend our money on something even more foolish. I have a plan in mind, but have to convince a bulky German to protect me from the fauna so I don’t attempt to twerk with a hungry, hungry hippo. Sometimes you go big. Sometimes you go home. Sometimes you go somewhere and you are still where you are and who you are, and that is nothing to be ashamed of. Embrace yourself. Be your own bear to hug. Find your way, or another way. Be well. It’s your choice. You are living. The one thing we can promise is that we will be the same bumbling, wandering, men in questionable circumstances even when we question them our own selves. Feel free to tell us about your resolutions in the comments, or just tell us about you. Whatever you do this year will change you, but not who you truly are and we like that person. We like that person quite a lot. So dream big, walk hard, and sometimes stop to appreciate just who and where you are in this world; in this very moment.